UPDATE May 31, 2016: See here. The ebook version DOES NOT contain contents of the music CD. It will become downloadable at 0 AM Sep 30 in Japan. This particular book is region-locked, so if you are not in Japan, you will need some sort of VPN proxy to access the purchase page. For payment, a VISA or MasterCard credit card from any country should be enough. Like most Japanese ebooks, you will need to download and read the book through Kadokawa's client app, which serves as DRM. 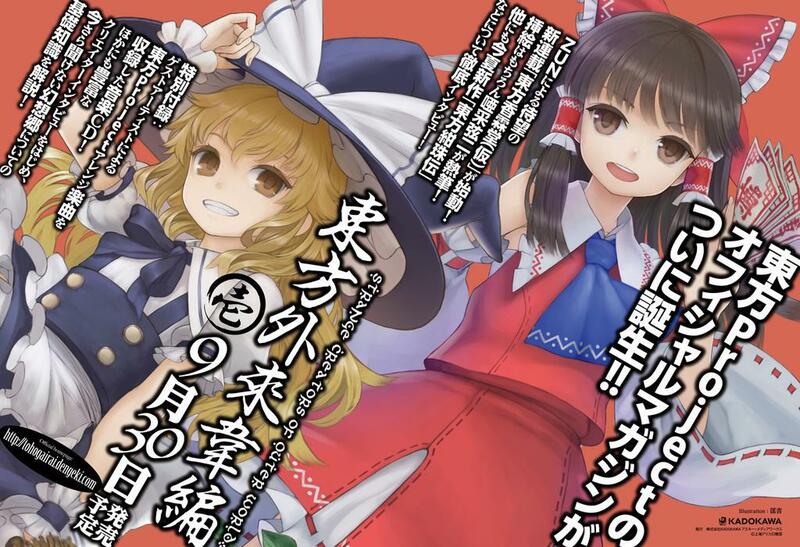 Dengeki Moeoh, a magazine under the auspices of Kadokawa Group, has announced that they are publishing an official Touhou Project magazine. 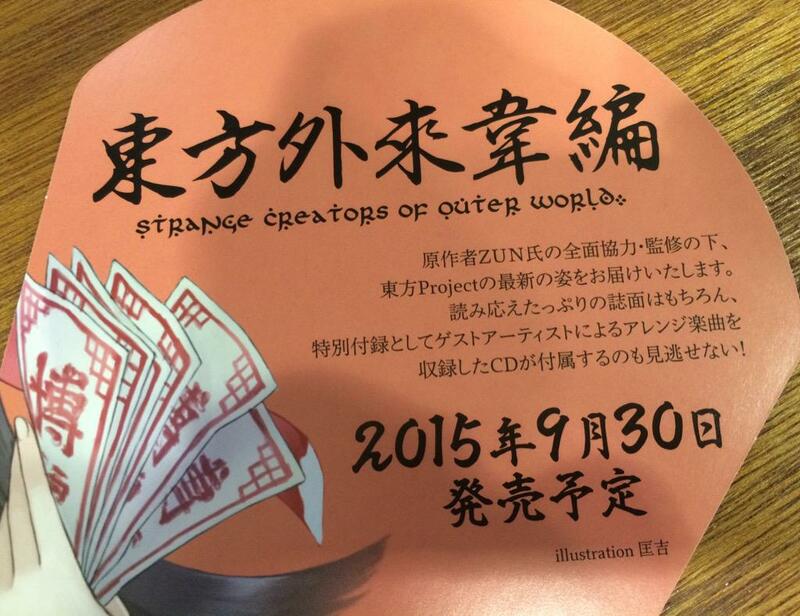 The first issue, 『東方外來韋編 Strange Creators of Outer World. 壱』, will be available on Sep 30, 2015. The official site of the Touhou magazine currently has a teaser page up. According to the page, the magazine is made with the full support and oversight of ZUN. 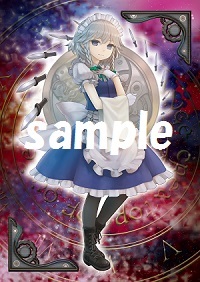 It will feature interviews and introductions of doujin creators in all fields of Touhou fandom (beginning with ZUN himself, of course), newbie-friendly information on the Touhou universe, a new serialization by ZUN (EDIT: confirmed to be Touhou Kourindou), and a music arrangement CD by guest musicians. 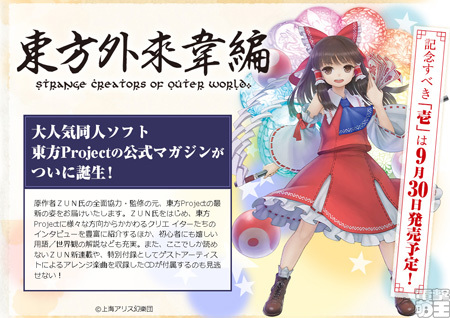 東方外來韋編 likely should be pronounced Touhou Gairai Ihen. 壱 is a formal document way of writing "ONE", marking this as the first issue. 外来 gairai is a common word meaning "of external origin, exogeneous" (e.g. imported goods, non-native person, foreign substance), written here using 來, the older form of the character "rai" instead of the modern standard 来.
Gensokyoans call books from the outside world 外来本 gairai hon, which we have been translating as "imported books". "In his old age Confucius loved to study the Book of Changes [...]. He studied this book so much that the leather thongs binding the wooden strips wore out three times." Hence the main title can be roughly translated as Eastern Tomes of External Origins. 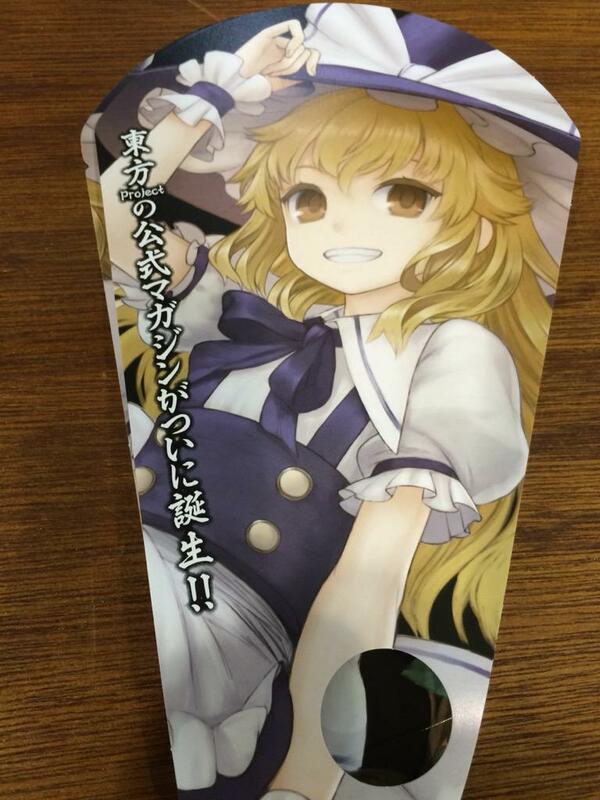 I guess this should be the big 2015 bomb (or one of the bombs) ZUN has been teasing for the better half of this year. Unlike many previous "introduction to Touhou" publications - like the infamous Eastern and Bright Nature Deity appendix, he is clearly heavily involved with the magazine. On the other hand, the title suggests the main purpose of the magazine is to act as a platform for showcasing fan talents, with the outside world as a metaphor for the Touhou fandom. This is consistent with what he has been doing with the Touhou brand in recent years - exploring ways to support doujin creators. 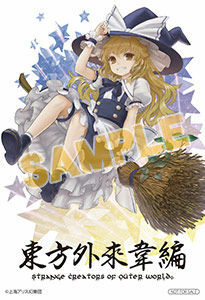 As for the new serialization, an easy guess is that it stars Sumireko, having adventures inside and outside Gensokyo. Does this mean FS and/or WaHH are coming to an end? "Creators of outer world"...maybe some other Gensokyo-like place is involved, or they plan to create another one because it's becoming too small to host everyone? Would be great i believe, although it likely refers to something else. That would be really great, actually. Really hoping for that one. This sounds so nice, damn. 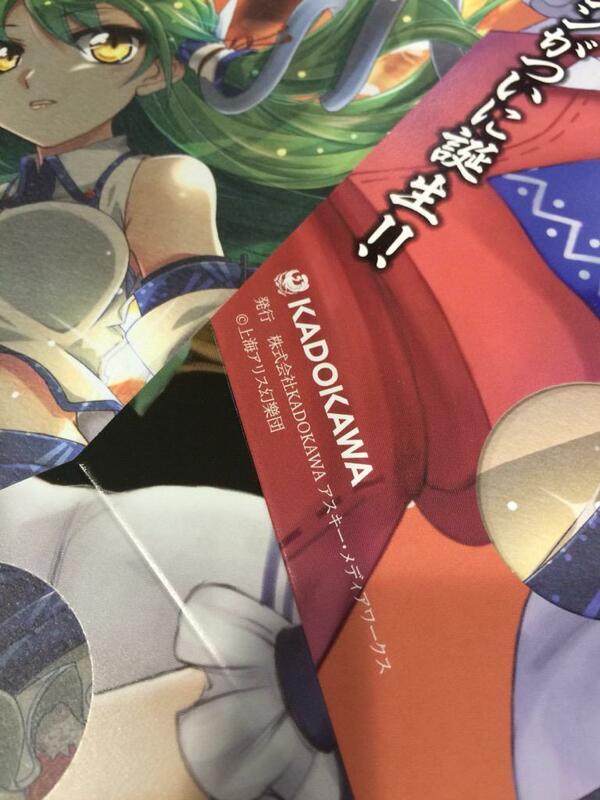 I'm looking forward the contents of this magazine, and the new Touhou manga/novel as well. Glad to see Masakichi again, I love his art. I think it's referring to the Outside World more than anything, especially since it seems to have focus on the fandom aspects of the series. Still, this is probably the last thing I ever expected for the series, but it'll be nice to have another source of lore, not to mention it sounds like it could very easily introduce people unfamiliar to the series to it without being too crazy. The "Strange Creators of the Outer World" are obviously us, the Touhou fandom of the Outside World. I don't think there's any other possible interpretation. like the infamous Eastern and Bright Nature Deity appendix, he is clearly heavily involved with the magazine. Oh? I haven't read EaBND at all so I've no idea what the appendix could have that would be considered infamous. Got curious - What's it about? 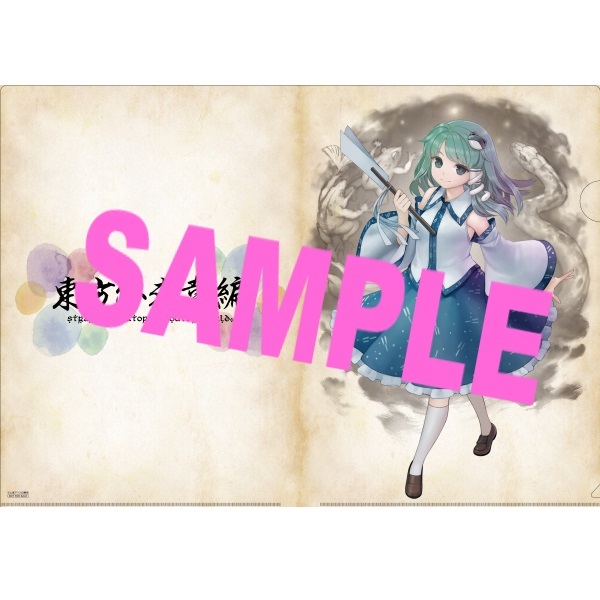 That's quite the Sanae to have on promo material for official content. This sounds great. A set similar to Bougetsushou may be too much for newcomers... Still, one can dream. One of EaBND's volumes had an appendix section with character introductions and whatnot. These were sections that looked like this, but with various errors in portraits, names and text, described in the link above. I forgot to mention that "Outer World" could be a reference to the groundbreaking game "Another World", alternatively titled "Out of This World" in the U.S., and "Outer World" in Japan. Another thing is that in today's Japanese vernacular, the loanword クリエータ "creator" is used exclusively to refer to artistic creatives. On a completely unrelated note, Pori☆Pori Club (a web show ZUN is a "regular guest" in) had a public event in June 14, where each panelist presented one or two games they wanted to recommend. ZUN's recommendation was STARWHAL. This game is now part of the "beat the average" bonus in the weekly Humble Bundle. Keep in mind it is a local multiplayer game without an online mode. I'd say it's likely, but you could make a case for either. WaHH has been going a long time and I've read constant speculation of Febri being in trouble with cancellation imminent. Accordingly, WaHH would either have to go with it or be moved to another Ichijinsha magazine, like Comic Rex, as speculated. Though I don't know how accurate those rumors were. 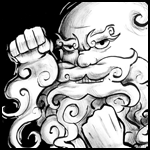 However, it would be easier on ZUN if the monthly serialization, FS, was dropped. I'd say WaHH is closer to resolution than FS, though. And frankly, I wonder if people don't just want to see her secrets laid out already and are getting a bit tired of it (simply basing this on how popular Kasen was before, but not so much anymore, even after ULiL), but I know ZUN only abides by his wishes. Frankly, I never thought WaHH was going to last this long, since I thought it was just going to be a limited 20-something chapter series like SSiB. But both WAHH and FS have taken up the world-building mantle of the Three Fairies manga where it's just a bunch of short stories about Gensokyo. There can be room for both, but since FS gave us something never really seen before (life in the Human Village, Human-Youkai relations and politics, etc. ), I'd rather that one be kept. I think there's still more to be done with it. In the end, it depends a lot on if this magazine is a monthly or bi-monthly thing, but I would bet on bi-monthly. Though I would like FS to be kept, I just have a feeling it won't be based on ZUN's current workload. But for all we know, it'll be WAHH to go, or both. Well, yes, i got that. It wasn't clear, but I was talking more about a possible double-meaning, since it'd be a bit weird if the title didn't have anything to do with the stories we are gonna get. Now *this* is an interesting development in the Touhou "brand". I remember ZUN has always been talking about in interviews how he wanted to help other people in the doujin scene and this is a good platform for doing just that. I will defiantly be interested in how this turns out (especially the world building stuff). Yesterday, shooting games... Today, a magazine... Tomorrow... An anime? Also, dose this mean that ZUN thought it would be fun to get involved in magazine printing? I remember ZUN saying that he likes to get into things if he thinks they will be fun to make... like his games. In today's Nikenme Radio stream (source: Tohomemory), Okonogi and ZUN indicated that ZUN is checking over the magazine's manuscript with great care, giving directions about how sentences are better phrased. ZUN said the process recalls BAiJR, and the magazine will be the same old thing (as they have always done), nothing groundbreaking. Of course, the implication is that the magazine is being produced by Okonogi, ZUN's long-time editor responsible for BAiJR, PMiSS, CiLR, SoPm and WaHH. It looks like from now on, all new official Touhou publications will come out through Kadokawa, and the Ichijinsha era will eventually come to an end. 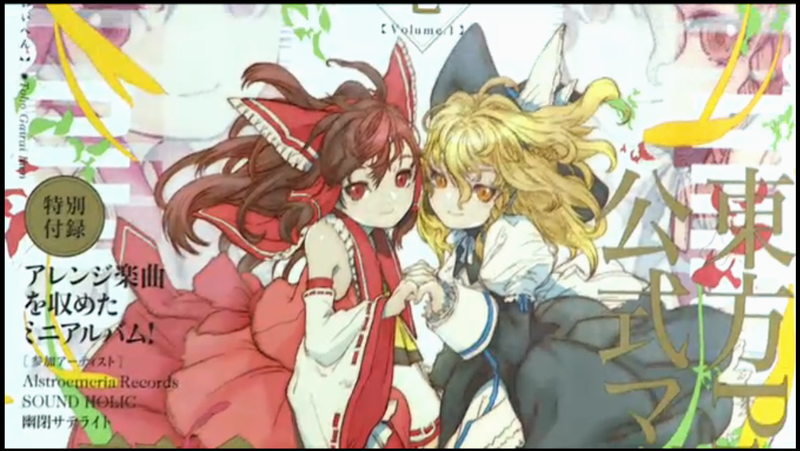 Another detail from the stream is that ZUN mentioned Touhou was first publicly exhibited in some form in 1995, which was not known before. 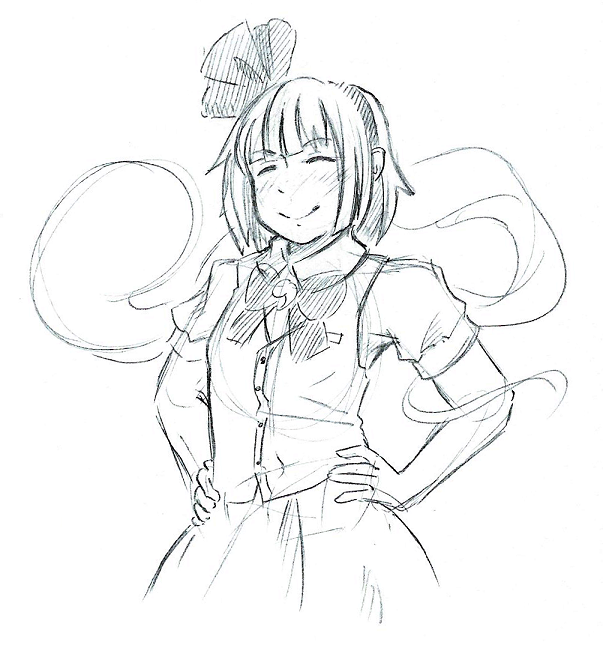 He also said Touhou have three different 20th anniversaries, which fans have interpreted to mean anniversaries for three different milestone moments of the first Touhou game - for example, the start of development, the end of development, and the first time it was publicly shown. Someone has found an ad spread in today's issue of Dengeki Moeoh. 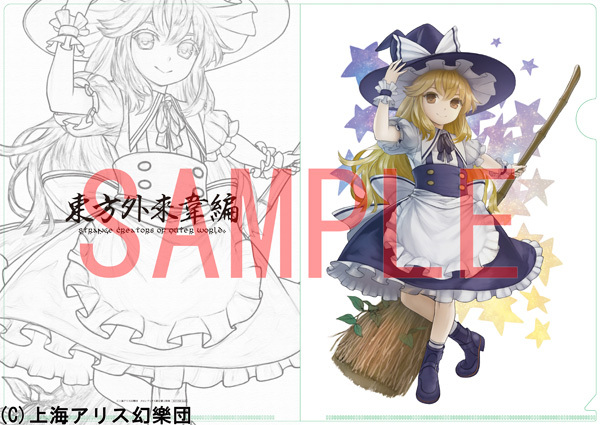 The spread has confirmed that the Touhou magazine will contain an in-depth interview about Touhou 15, and a "new serialization": "Touhou Kourindou" (Provisional Title), with illustrations by Genji Asai. The old "Touhou Kourindou ~ Curiosities of Lotus Asia" stories ended serialization in 2007, and was collected in one volume in 2010. 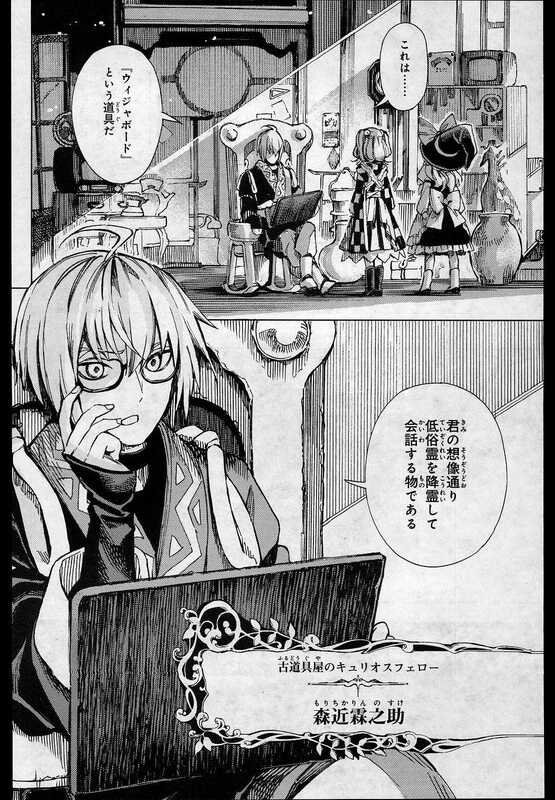 Recently, Marisa had introduced Kosuzu to Kourindou and its owner Rinnosuke, an action they must feel some regret for. I am 110% down for this. Awww, I'm so excited towards this. Will be waiting more information! Dude I saw this spread and didn't notice what the text said. Yes yes yes yes yes yes. Amazon Japan has a preorder page up. Information says 160 pages for 1200 yen. Some cover art sneak peeks coming from Twitter. Looks like Genji Asai will draw the firts issue cover. The tweet was made by an editor of the magazine when he was "doing color check for the cover." Somewhat related to the magazine, ZUN will have two stream appearances at Tokyo Game Show 2015. During September 19's Indie Stream Fes 2015, the party for indie developers, PoriPori Club will again have a live talkshow (6:00~9:00 PM (JST)), and ZUN will be there. On Sep 20, from 2:00 PM to 3:00 PM, ZUN will speak at Dengeki Online's official stream. Like most Japanese ebooks, you will need to read the book through Kadokawa's client app, which serves as DRM. Nowadays, you can actually buy the majority of Touhou manga paperbacks (SSiB, Inaba, WaHH and FS) as ebooks. It's just Febri and Comp Ace, the magazines that carry Touhou serializations are in hard copy only. Thankfully, this new magazine is being published by the Dengeki/ASCII subsidiary, who seems to have fully embraced ebooks. The only issue with their publications is the region lock, which should be easy to bypass. From what can be gleamed from the internet, for the majority of ebooks, including those published by Ichijinsha (SSiB, Inaba, WaHH), eBookJapan tend to offer the highest image resolution and quality. That's for reference only, 'cause I haven't tested it. However, ebooks published by Kadokawa are all based on their own Bookwalker sources. Buying them elsewhere does not offer any advantage. Kadokawa also often release their ebooks on Bookwalker first before other sites, although Forbidden Scrollery is a simultaneous release at all sites. 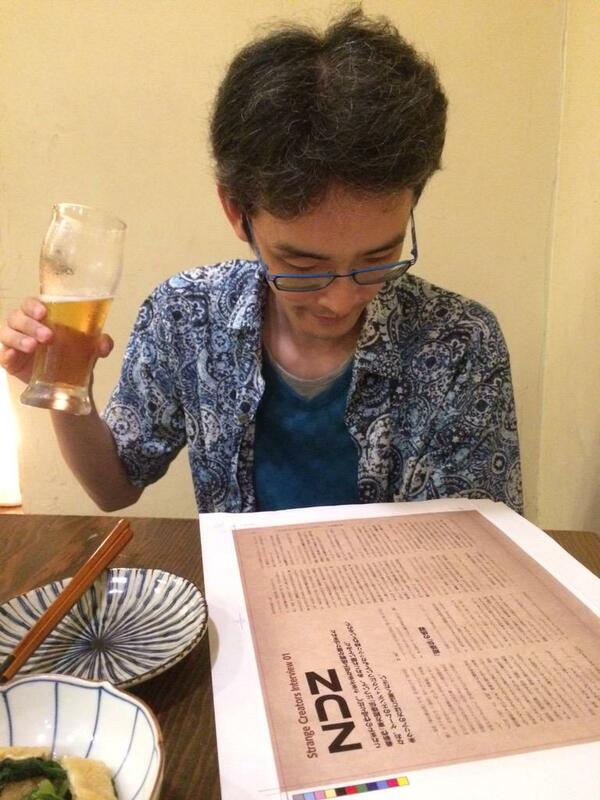 On the other side, ZUN had wrapped up the last editorial meeting for the magazine yesterday. I got excited by the words 'ebook' but region lock and DRM, geh. I'm going to ship it with this month's comp ace anyway so unless the digital version is significantly cheaper I guess I'll just stare at my letterbox as always. I wonder if this is ZUN's way of teasing the shippers. I wonder if they're going to be in a threeway with Rinnosuke.